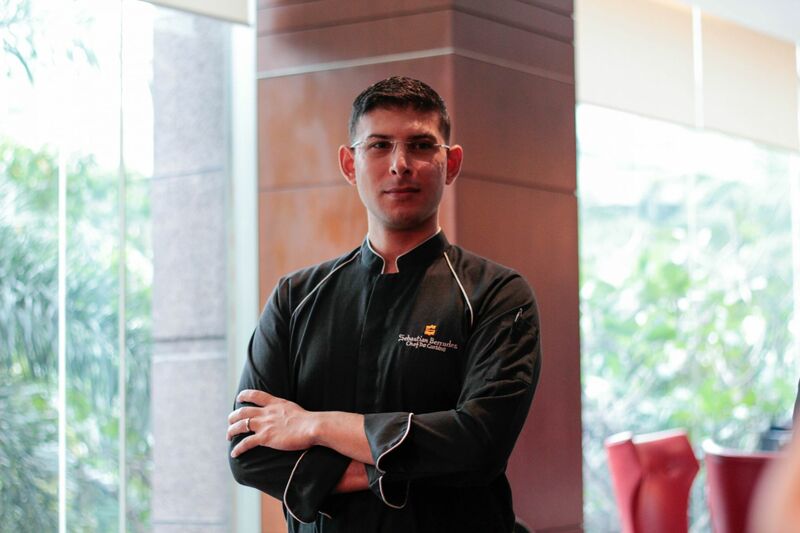 Chef Sebastian was born and raised in Argentina and graduated with a bachelor’s degree as an international chef from Escuela De Arte Gastronomico. Later on, he finished hospitality and food service management at Ecornell, Cornell University’s online learning platform. He then studied the local cuisines in different countries: Indonesia, Russia, Rome, Thailand, China, Qatar, Dubai and Greece, to name a few. Chef Sebastian brings 14 years of culinary experience to Sage Bespoke Grill. His career in Libertad, Buenos Aires, started in 2005. After five years, he moved up to become chef de partie under the guidance of Michelin-starred Chef Björn Alexander Panek and Executive Chef Maxime Luvara at Al-Muntaha Restaurant, Burj Al-Arab, Dubai. Subsequently, Chef Sebastian took up the position of chef de cuisine at Fuego Restaurant at Shangri-La, Doha as part of the pre-opening team. He was in charge of the entire kitchen operations, menu and concept design, and training of the entire culinary department, which compromised 82 chefs. Prior to joining Makati Shangri-La, Manila, he was the chef de cuisine of Mandarin Grill at Mandarin Oriental, Kuala Lumpur. With valuable experience gained from working at restaurants and five-star hotels around the globe and three promotions from Michelin-starred chefs, Chef Sebastian will present an exciting range of new cuisines and dining experiences to hotel guests and diners at Sage Bespoke Grill. His favorite ingredient is beef, because, according to him, it was a staple in his hometown and he grew up eating beef five days a week. Chef Sebastian believes Urien Loza beef is the best in the world because of how the cattle was fed and raised in a stress-free environment. When cows are confined in small spaces, the meat becomes tense and hard. In a relaxed environment, the meat is soft. Guests can experience premium imported Bolzico beef steaks, meticulously sliced using an Argentine knife and Josper-grilled to perfection with Sage Bespoke Grill’s “A Taste of Argentina” promotion.